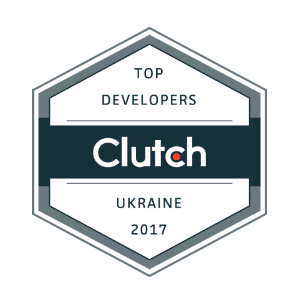 Kharkiv, Ukraine – February 2, 2017 – AltexSoft, a Technology & Solution Consulting company, was featured as one of the Top Web & Software Development companies in Ukraine, according to the research conducted by Clutch. With the ranking 4.8 out of 5, we were highlighted among the top 20 firms nationwide. The Clutch evaluation methodology is recognized as transparent and unbiased among businesses that look for B2B service providers. The companies are evaluated against such criteria as industry experience, market presence, technical certification, and client reviews. Clutch analysts consider multiple quantitative and qualitative aspects as well as interviews with clients. “Developers in Ukraine are rapidly setting a new standard with their quality and productivity. This updated report highlights some of the very best Ukrainian dev shops with a wide variety of skills and industry experience.” – says Christian Louzan, Business Analyst at Clutch. AltexSoft has reached high positions in the Clutch reports before, as one of the Top Ukraine-based Web and Software Developers, Top Ukrainian App Developers – 2015, and Top Mobile Web & Hybrid App Developers. Clutch is a B2B research firm from Washington, DC. The analysts identify top service providers using their own methodology and a proprietary framework, the Leaders Matrix, which maps firms’ focus areas and abilities to deliver on client expectations. Currently, Clutch has researched and reviewed over 900 companies spanning more than 50 industries.